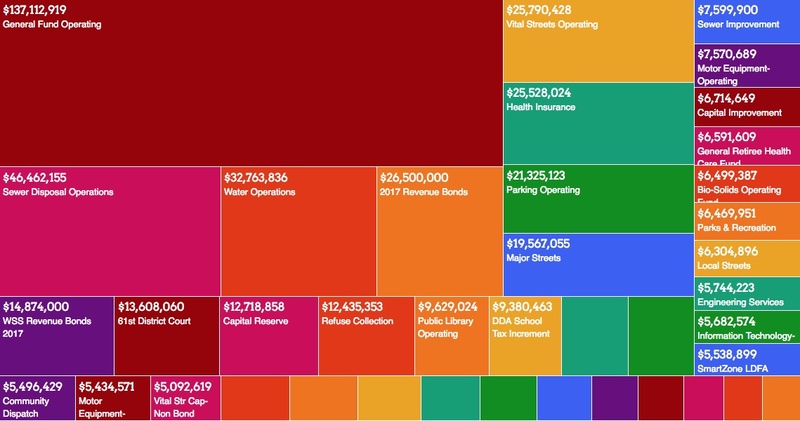 Citizen Labs used data from the city's open data portal to visualize where the money comes from and how it's spent. July 1 of every year marks the beginning of a new Fiscal Year for the City of Grand Rapids. Learn about the steps taken prior to approval and how spending priorities are made. Understand the big picture: where money comes from and where it goes. 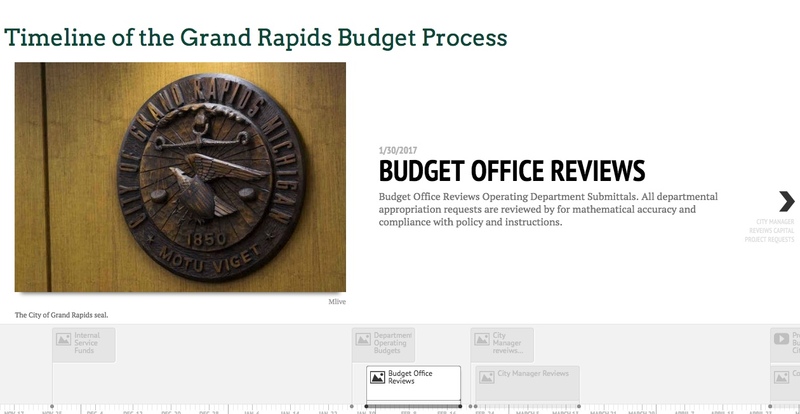 Open Budget: Grand Rapids is an open-source project by Citizen Labs to help citizens better understand spending and budget process by the City of Grand Rapids.